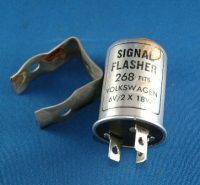 This 12 volt turn signal flasher R432 is new, NOS, Aluminum can with no lettering, a Signal-stat brand flasher, small rectangular in shape and in mint condition. 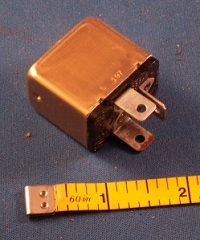 It is a 3 terminal flasher with the terminals in the normal right angle configuration. I have no clue what R432 application is. 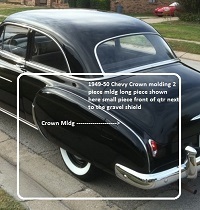 I have not been able to find an information on this flasher.